Innovation and technology play a key role in the health system. Medicine benefits from the progress of researchers and technologists through scientific advances and the design of new equipment, techniques and developments. For healthcare professionals, scientific developments lead to the improvement and implementation of new diagnostic tests, therapies, materials, more effective rehabilitation systems, surgical techniques and new drugs with which to improve patient care. Research focused specifically on the field of health plays an important role in this process, as do advances brought about by the attainment and use of new materials, surgical and healthcare robotics, new medical devices, adaptation of mobile devices, textiles designed for medical care, information use and management, and the development of specialized software, among other factors. Consequently, engineers are now fully involved in health research. As in other disciplines, the process of technological innovation in the health field is extremely complex. It requires the collaboration of multidisciplinary teams, specific equipment, financial and human resources and a considerable amount of time. The results are not always as expected, but all of us benefit when a project is successful and a new product reaches the market. At the UPC Technology Center (CIT UPC) we develop high impact technologies and innovative solutions for the health sector that are ready to be marketed and used by companies. The innovations are developed through multidisciplinary programs and in collaboration with hospitals, leading research centers, and other institutions. 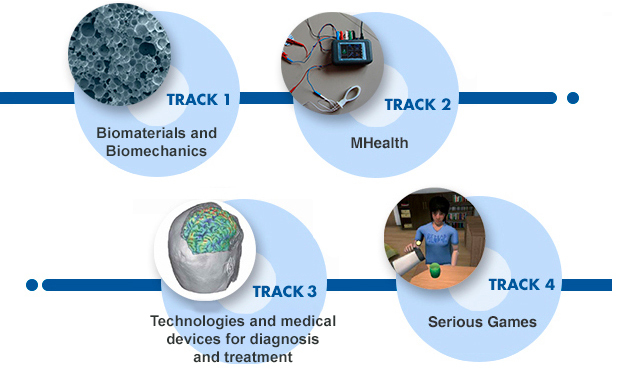 In recent years, we have made significant contributions in key areas such as biomaterials and biomechanics, medical devices, mobile technologies for health, technologies for the diagnosis and treatment of various diseases and the development of serious games. Communication is essential to complete the process of innovation and transfer results to the production sector. Consequently, on 22 May at MIHealth Forum, the international meeting of clinicians, healthcare managers and companies that will be held in Barcelona, we aim to communicate our work. The event, called TecHealth Workshop, will start at 9.30 am in Room 3 (Floor 2) of the Palau de Congressos de Barcelona (Recinto de Montjuïc). During the session, those responsible for 13 technological developments at the CIT UPC will present their innovations. This entry was posted in Sin categoría on 20 May, 2014 by www-citupc.